Last week Arthur and I bought a house. We got the keys late Tuesday and have been busy with it every day since. Moving stuff, cleaning everything, little repair jobs, meeting contractors, and trying to keep up at least a little bit with work has made keeping up with the challenge extremely difficult. There’s not much time to gaze at the back yard feeders at length, let alone go out birding. Since my last update on March 13th I have added 28 birds. Of these, an alarming number came from the back yard (some at the new house, some at the old house): Downy Woodpecker; Mourning Dove; Fish Crow; Blue Jay; Great Crested Flycatcher; Tufted Titmouse; and Red-bellied Woodpecker. 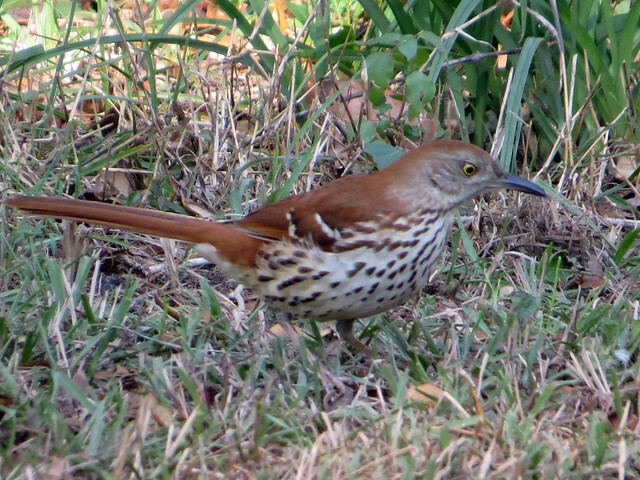 A further five were added from various spots in DeBary as we have been running around shopping and doing house-related errands: Brown Thrasher; Pileated Woodpecker; European Starling; White Ibis; and today’s House Sparrow in the parking lot at the grocery store. I did sneak out to Gemini Springs a bit, especially before last week, where I got 8 species. Most were expected birds: Snowy Egret; American Crow; American Coot; and Black-necked Stilt. The American Redstart I found on April 1st was my first of the year (FOY). I also had my FOY Indigo Bunting that morning and had a hard time picking which of those to use. 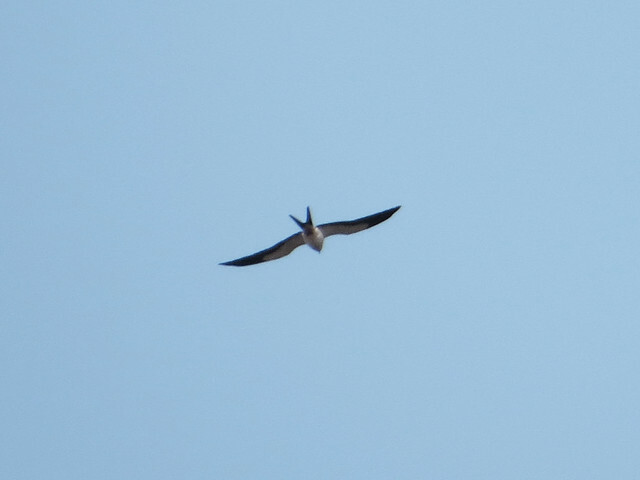 Swallow-tailed Kite is pretty common down the Spring-to-spring Trail towards Lake Monroe, so seeing one at Gemini Springs was not totally unexpected but a very pleasant surprise. (I added Sharp-shinned Hawk on a bike ride along the Spring-to-spring Trail on March 24th.) 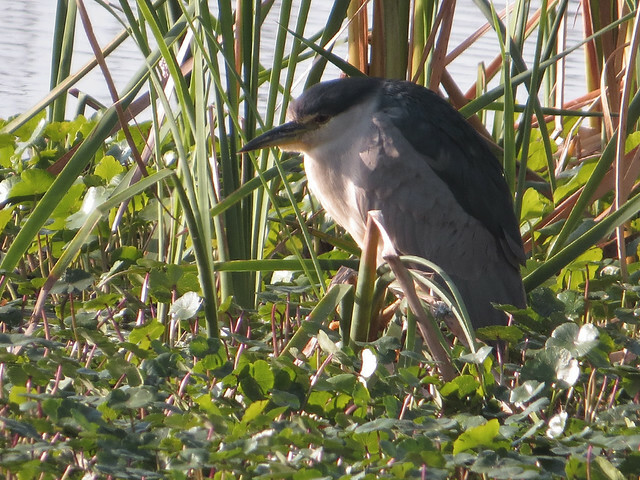 On March 26th I laughed out loud when I saw a Black-crowned Night-Heron standing across from the fishing pier — “yippee!” — BCNH is a very good bird for Gemini Springs. 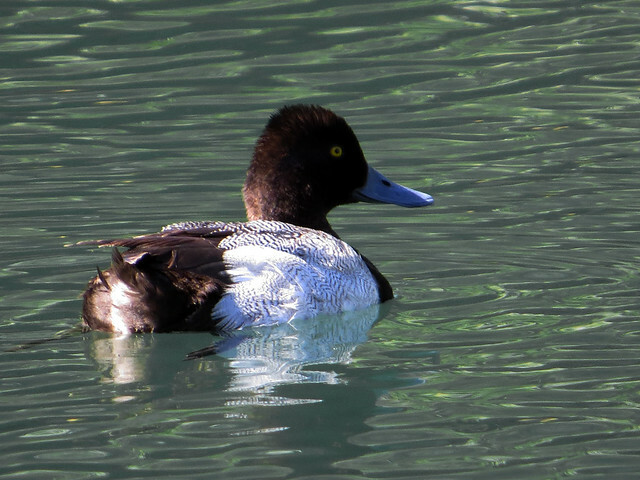 The very next day I was extremely surprised to see my first ever Lesser Scaup in the park, swimming in the spring run behind the dam. On March 14th I stopped at Lake Monroe on the way home from Audubon Center for Birds of Prey. There I found my best bird of the day, a Common Yellowthroat. 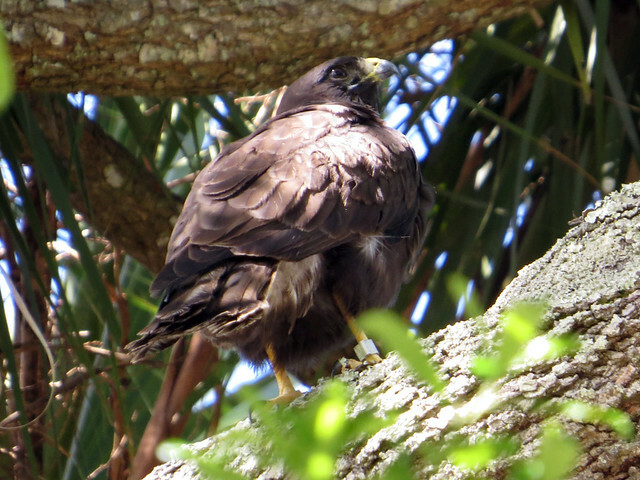 On March 21st I had the great opportunity to release a pair of Short-tailed Hawks near to where I live. The birds were picked up following a territory fight and brought to the Audubon Center for rehabilitation. Fully healed, both birds were released close to where they were first found. And the local Chimney Swifts returned to the Audubon Center last week, so they were my species of the day for April 4th. Twice in the last 28 days Arthur and I went to Blue Spring State Park to see some special visitors. A cold snap on March 29th meant that the manatees might be back — and they were, probably for the last time this spring. I heard a Red-eyed Vireo for my B-A-D. Then yesterday we went back to Blue Spring to see the fireflies, which are only active for 2-3 weeks each spring. I used another heard-only bird yesterday: my FOY Chuck-will’s-widow. An outing last month to Disney World got me Purple Martin for March 22 and a stop at Kennedy Space Center on March 19th yielded Roseate Spoonbill. Now, since it seems like I have been bleeding easy birds of late, I made a list of the birds I can still expect to find as the challenge goes on. There are just nine birds I can expect to find in my yard or on a local errand run. There are another 10 I would expect to see on a typical day at Gemini Springs. Just getting out there is a problem these days, though. Another 4 species would be easy peasy if I could just get to where they are. See my lists below and fear for my future in the challenge when you see them get checked off! And wish me luck as we prepare the house not only for ourselves, but for house guests – nonstop from April 18 to May 6! I seriously doubt I’ll stay in the challenge through April. Surpassing or even reaching my total from last year is extremely unlikely. But I’ll certainly try! !